A new organization, with roots in the University of Chicago, has undertaken the task of providing information for the upcoming primary in "all federal, state, and judicial races in Illinois, and all county races in Cook County," according to Sebastian Ellefson, Director of Content for this new group, BallotReady. Visitors to the Ballot Ready website will see a big red button in the upper right hand corner of the home page that says "Find My Ballot." Click on that, and provide your address and the party ballot you would like to see, and you will find a race-by-race, side-by-side comparison of all candidates. Judicial rating information on Ballot Ready will be coming from the Chicago Appleseed Fund for Justice (Voteforjudges.org), according to Ellefson, the Appleseed Fund group being one of the many groups with which Ballot Ready has partnered. 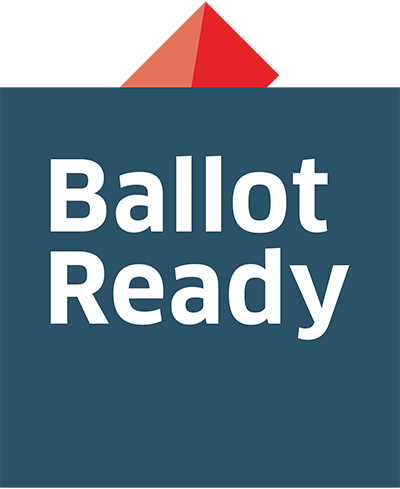 In an email to FWIW, Ellefson advised that Ballot Ready has also partnered with with the League of Women Voters of Illinois and the Illinois Campaign for Political Reform. "Our bipartisan board of advisers includes David Axelrod and Ray LaHood," he added. Ellefson explained that all the founders of Ballot Ready are University of Chicago graduates. "Alex Niemczewski started the website as a project for a coding bootcamp she was in at the Starter League. She liked the idea of simple, user friendly website that aggregates all the candidate information that's already out there, and filters out all the fluff. She enlisted two friends who were acquainted with the local political scene and generally very excited about the project, Aviva Rosman and myself," Ellefson added. 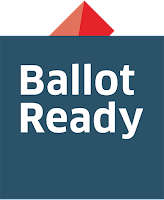 In addition to the University of Chicago, other university partners of Ballot Ready are Northwestern University, Old Dominion University, the University of Virginia, Virginia Tech and Eastern Kentucky University. This is Ballot Ready's first foray into Illinois politics. "Our test round was last fall in Kentucky and Virginia," Ellefson said. "Now we are covering all federal, state, and judicial races in Illinois, and all county races in Cook County. For the general election, we plan to cover all federal races nationwide, where our goal is to reach over one million users. One day soon we hope to produce online voter guides for ever race, in every state across the county, and make sure that everyone can vote ballot-ready." I do not trust anything having to do with the University of Chicago. That is where Obama "taught" Constitutional Law. Unfortunately you can't deport ignorance like the comment regarding the President. We Americans are failing to learn from history. Failing to learn History? Isn't that the responsibility of progressive school boards that have eliminated civics and ordered Common Core?